Hes only 16 weeks old!!!!!!!!!!!!. just look at superboy!!!. 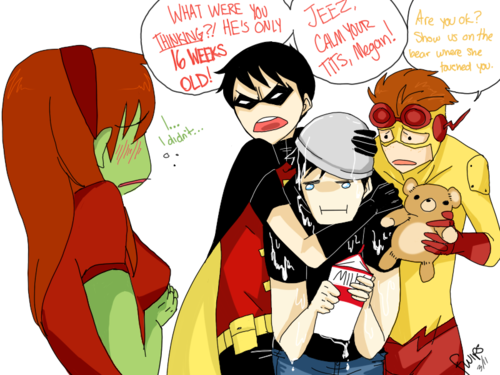 Wallpaper and background images in the Young Justice club tagged: young justice kid flash robin superboy m`gann. This Young Justice photo might contain anime, comic book, manga, and cartoon.